The name of Grow Your Own Nematodes has changed to Natural Fruit & Vegetable Nematodes. 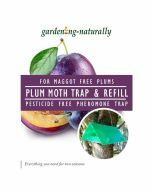 These Natural Fruit & Vegetable Nematodes is the simple solution to control cabbage root fly, cutworm, onion fly, sciarids, gooseberry sawfly, thrips, caterpillars and many more destructive pests challenging the grow your own gardener. 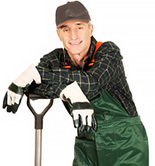 How to Order: The manufacturer recommends that nematodes are applied every 6 weeks. For single deliveries or multiple, follow the simple instructions below. Step 2. For multiple deliveries, just repeat step 1 remembering to select a different date each time. All the dates are for the "week commencing" so will arrive during that week. This gives you the choice of delivery dates so you can avoid times when you are not around. Delivery is completely free when just ordering nematodes. Should you purchase any other items then our standard delivery charge will apply. 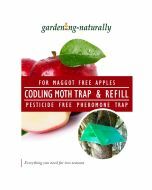 Natural Fruit & Vegetable Nematodes are available in a pack to treat 60m2 of open ground, or up to 16 trees for Codling Moth. The nematodes come complete with instructions and can be applied using a watering can or nematode applicator. You just apply to moist soil when the soil temperature is above 5ºC (41ºF) and ensure the soil does not dry out for at least two weeks after applying nematodes. Nematodes are capable of surviving the odd frost; so don't worry if the temperature falls after you have applied the nematodes. Please note these are a live product and have an expiry date usually about 2 weeks - this product is non returnable. Apply April to July. Apply after planting and repeat fortnightly throughout the growing season when pests are present. Apply as a drench around the roots of the plants or where the pest is present. Fortnightly application maintains control and catches subsequent generations. Apply when pest is present in the vegetable patch and repeat application to control the pest. The Sciarid is primarily a greenhouse pest. Apply when pest is present and repeat as necessary to control subsequent hatchings. Apply to soil in pots, growing bags and open soil. Apply as soon as the caterpillars are first seen applying to all leaf surfaces where the pest is present. Make sure to spray pests with a solution as caterpillars not directly sprayed will not be controlled. Repeat as necessary. Thrips Apply as soon as the thrips are first seen applying to all leaf surfaces where the pest is present. Make sure to spray pests with a solution as thrips not directly sprayed will not be controlled. Repeat as necessary. Apply during September and October to the trunk of the tree/main branches and to an area of soil equal to the tree cover above. Make 3 applications at weekly intervals in total to make sure that all hatchings are caught.